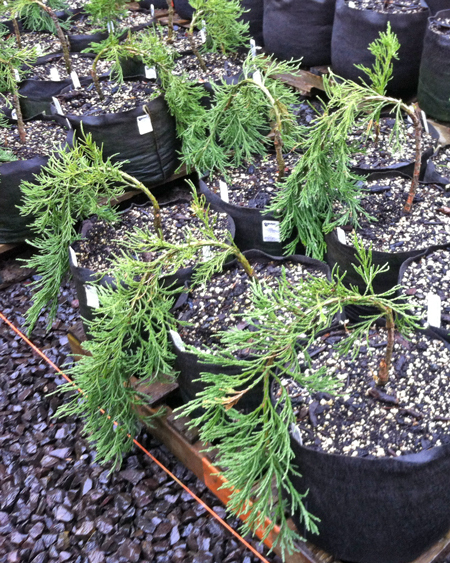 These imperial, ghostly weeping giant Sequoia trees provide a stupendous display wherever they are planted. Growing up to 25 feet tall with a 3 to 4 foot wide spread, narrow central leaders bend and twist as they reach toward the sky. No two trees grow alike. This tree's bold, rustic appearance rapidly becomes the focal point of the garden. Stupendous as a single specimen in your front or back yard, or when planted near water features. Plant a few together to provide the essence of a congregation of giant, ancient individuals. 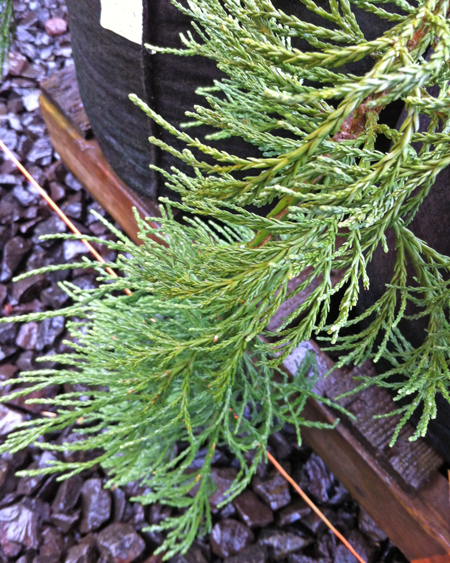 Conifer Size 4 ft. 5 ft.